Download: Spotify Dogfood Mod APK to get rid of all Spotify ads for free. It is a fact that the online world is filled with product ads and promotions. It is also a source of revenue and at times an inevitable evil. It can sometimes be annoying the way these ads hit you in the face when you’re in your leisure hours. For example when playing music on Spotify. Apps like WhatsApp that don’t serve ads are few and far in between. A lot of people would be happy to get rid of those ads for good if they can. Well, for such Spotify users, there’s a workaround for it. 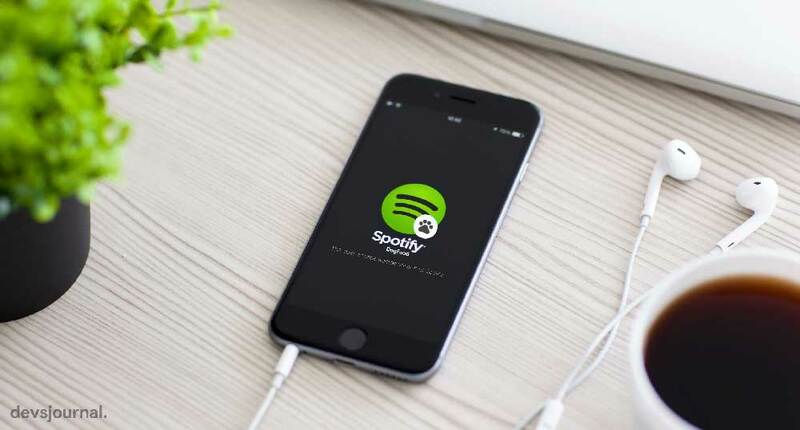 An XDA developer created an open-source mod that successfully removes all ads from the Spotify app. Normally, not all people would trust coding from third-parties in apps but this an open-source project and the modifications are there for all to see. The dev has also made his work public so that if someone wants to add to his work, it can be done. Hence, the modded app is safe to download and use. This application replaces your current Spotify installation. You need to uninstall any previous installations of it first. If the app came bundled with your device, like most Samsung devices, you can’t use this mod out of the box, since you need to change the package name to a different one. This application has been signed with a different key than the one used by Spotify. This means that Facebook login won’t work unless you don’t have Facebook’s app installed, or you uninstall and/or deactivate it, if it came bundled with your device. Once done, log-in to your account using Facebook and, once logged-in, re-download and/or re-activate your Facebook app, if you want to. Do note that this the official app will have to be uninstalled before you install Spotify Dogfood. Also, the dev has mentioned some shortcomings of the workaround on his thread. In some instances, Facebook login won’t work. Also, the mod won’t work with Android Auto. For more info, visit the devs thread. There you’ll find more sources and info. Android Auto app only works with applications downloaded from the official Google PlayStore. Using the getInstallerPackageName() method, the Android Auto application checks to see the install source of an application before it allows it to be shown in the Android Auto dashboard. Which means, Spotify Dogfood mod won’t work with Android auto if installed directly. Fortunately, there’s a way to change the install source of any app using Android ADB Tools. Step 1. Download the ADB files from the above link and perform the steps as mentioned in the ADB guide. Step 2. Enable USB Debugging mode on your phone and connect it with your Laptop/PC. Make sure to change the connection from “charge only” mode to “file transfer (MTP)” mode. Step 3. Download the Spotify Dogfood mode and save it as “spotify.apk” in your device’s storage. Make sure you remember the exact location of the file. Step 4. Open ADB command window and check if everything is working. Enter adb devices in the command window. It should return a device code if things are working fine. Step 5. Now begins the installation procedure, enter adb shell in the window. Step 7. After executing the command, the shell will return a success message saying the app has been installed successfully. If you’re running Android nougat and above, you can check the source of installation by checking App info of the Spotify app in your device. Somewhere in the output you’ll find the “com.spotify.music” package and the installation source package next to it. If it says “com.android.vending“, then you’re set. This article, as well as the provided patchsets and precompiled APKs are just for demonstrative & educational purposes. They should not be used for illegal actions, and/or any action that can imply a violation in the ToS of the software.